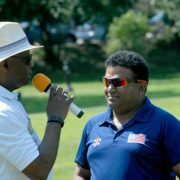 I recently had a chat with John Aaron a candidate for Club Director on the USA Cricket board in the upcoming USA Cricket elections. 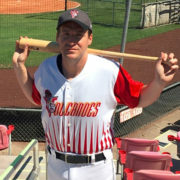 John, who is well-known in the local cricketing community and nationally was gracious enough to answer the following questions. 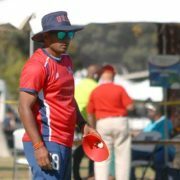 USAcricketers.com had the opportunity to talk with Usman Rafiq of Houston, Texas, who was recently selected to represent Team USA in the upcoming tour to Abu Dhabi and Muscat. The International Cricket Council (ICC) Americas team is set to compete in the 2017 West Indies Cricket Board (WICB) regional Super50 tournament which is slated to commence on Tuesday in co-host countries Barbados and Antigua. 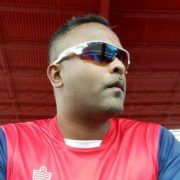 USA newcomer and all-rounder Prashanth Nair is aiming for success at the forthcoming International Cricket Council (ICC) World Cricket League (WCL) Division 4 limited-over tournament slated to be held in Los Angeles from October 29. 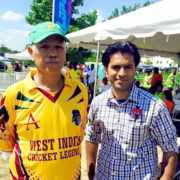 After scoring a hundred in the USA Cricket trials, we caught up with Fahad Babar and asked him a few questions, about his determination to make a comeback into the USA national team, scoring a century in the ICC match trials, and about the inaugural Caribbean Premier League in the USA. 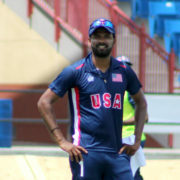 Adil Bhatti who has been capped 14 times for the USA was delighted to spend time in the nets with some legendary cricketers, during the Cricket All Stars recent US tour.